WASHINGTON (CNS) -- In a second letter issued in mid-January about what he knew and didn't regarding abuse allegations involving his predecessor, Cardinal Donald W. Wuerl, Washington's retired archbishop, apologized Jan. 15 for what he called a "lapse of memory," clarifying that he knew of at least one abuse allegation against former U.S. Cardinal Theodore E. McCarrick, but he had "forgotten" about it. Cardinal Wuerl acknowledged that he became aware of the allegation against now-Archbishop McCarrick after receiving a report in 2004 about a different allegation, but the "survivor also indicated that he had observed and experienced 'inappropriate conduct' by then-Bishop McCarrick." Sadly, whether he is being truthful or not, he is simply not believable. We are done with the PR damage control mentality over all else that so many of the Archdioceses rely on. When will they start living a simple life, among their people? Maybe then they will figure out they are not royalty, they are servants of God, and the faithful have had enough! Now, all the good ones get mixed with the bad, for we no longer know which ones even believe! 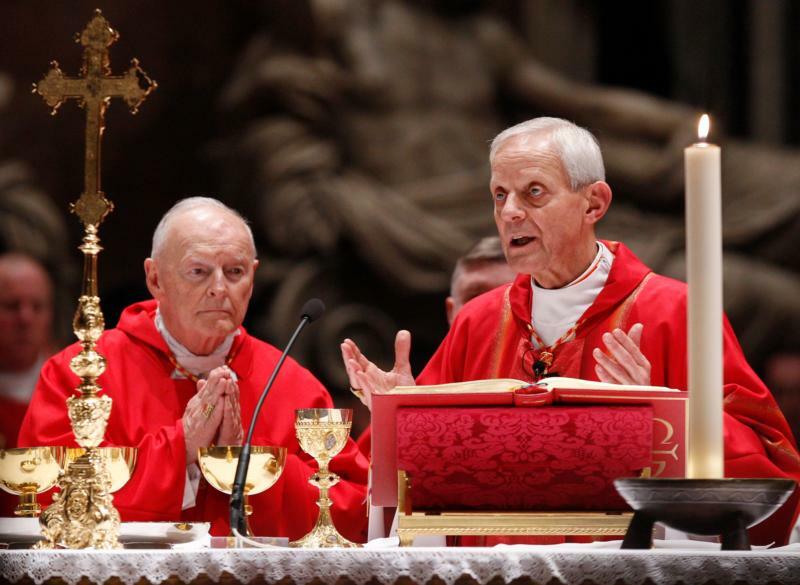 I used to be pro-Wuerl, but it is incredible to believe that he forgot such a revelation. He lied. If he can forget that, it would confirm how wide spread the problem is because we forget insignificant things, NOT major ones! So very disheartening when we really don't know who to trust. I liked him too. Says it all doesn't it. Abuse accusations were so important, he forgot them! Does anyone believe him? You can't forget those things, and if he did, his brain is dead. Get rid of him. I used to listen to this guy's tapes. So...someone who can remember minutia of Roman Catholic doctrines "forgot" about an abuse allegation? If he can forget that, just think how many little picky rules he could forget...if he tried. AB Wuerl is not a villain, not an abuser, not complicit in another’s abusing, not negligent in dismissing an abuser when it was in his power to do so, and not afraid to stand up to Rome when Rome countenanced this abuser (thus making it tougher on Wuerl to throw the guy out). He is not squeaky clean; in the context of a conversation about child abuse, Wuerl said that he was unaware of reports of such against McCarrick, thus forgetting that 14 years earlier he was told by an adult—who asked him to keep it a secret then—that earlier in this individual’s adult life the individual had witnessed inappropriate sexual behavior by McCarrick against another individual (who was not a minor). . . Weigh Wuerl in the balance, but be mindful that we will all be weighed in the balance—re what we do, fail to do, and write in comment spaces. John- maybe I am missing something here, but it is Cardinal Wuerl who has said he forgot, and to many of us, that means either he is simply not telling the truth, or the event was not important enough to remember, which can ONLY translate to lacking genuine empathy. The fact this victim might have been 25 years old, and not 12 years old does not mean it shouldn't have been disturbing, unless of course, it is happening on a regular basis, which is disturbing in itself. As a close relative of a post 2004 abuse victim, I can tell you that the manipulation and betrayal by the priest has been deeply upsetting, and traumatizing, but to learn how the archdiocese in the case handled information over the past 20 years is so disturbing it has shaken my world. The indifference shown, and the cowardly behaviour by some taints all, that's how it is. I did not pre judge Cardinal Wuerl, and I did not feel at the time he was treated fairly when he was 'pushed' out. I still believe that. Nonetheless, through his words alone, I see a pattern of indifference towards what should be considered deeply disturbing behaviour within our church. We expect and demand better. The standards being applied now are far different than what society deemed acceptable a generation ago. Even some survivors of abuse still refuse to come forward publicly, the reasons for which are so varied but in one sense consistent with an attitude that existed a generation ago. Silence prevailed, everywhere. I found Wuerl’s comment in his letter disingenuous because splitting hairs about the age of the abused is NOW considered wholly inappropriate. But that is only a recent development because, previously, sexual relations between apparently-consenting adults were not considered as seriously. The McCarrick adult cases are now recognized as the same violation of authority, position, power, and vows as the abuse of children. Wuerl’s apology, sincere as he might have meant it to be, demonstrates his own lack of recognition of the evolved current attitudes. That same lack of recognition was revealed today by the resignation of former Governor of Michigan Engler as interim president of the University of Michigan for statements that are out of sync with current expectations of the recognition of victimization in abuse crimes of any sort. Saint Raymond Hunthausen, ora pro nobis!